On Monday, September 23, chef Sam Gorenstein of My Ceviche will co-host a dinner with Love & Vegatables, a community pop-up vegan cafe. The first installment in the 2013-2014 monthly dinner series at the Earth N' Us Farm in Little Haiti, will reintroduce diners to the earth-conscious attitude of Miami’s finest vegan café. Chef Gorenstein will be working with Love & Vegetables’ Chefs Keith Kalamanovicz and Avril Johnnidis to put together a menu inspired by nature’s offerings. Eighteen months since its inception, Love & Vegetables has become a go-to destination for vegetarians, vegans, the health-conscious, and yogis thanks to chefs Johnnidis and Kalmanowicz’ generosity and willingness to share their personal philosophies with others. Certainly, they focus strongly on the food they serve, but there is also their strong desire to share with those who may not otherwise have access to healthy and nutritious food. The pop-up’s monthly pay-what-you-can dinners are the perfect way to allow people from all walks of life to indulge for one night. Because the farm runs solely on donations, Love & Vegetables kindly suggests a $35 per person donation for these dinners. For those who are unable to give a monetary donation, volunteer work the night of the dinner is also accepted for a limited number of people; volunteers might help with set-up, clearing tables, or washing dishes. From September through April, these monthly gatherings include a tour of Earth N’ Us Farm —given by the farm’s owner, Ray Chasser — before diners are seated and treated to the kitchen’s offerings. In keeping with this tradition, guests for the Sept. 23 dinner may arrive at the farm at 6:30 p.m. to take a tour of the premises and its 3-story tree house and even meet some of the animals that live on the farm. Dinner will begin promptly at 7:30 p.m.
To RSVP for the September dinner at Love & Vegetables, visit http://www.loveandveggies.com/events/1st-farm-dinner-of-the-season/. Founded in January 2012 by Keith Kalmanowicz, Love & Vegetables is a vegan pop-up community café that operates under the standards of One World Everyone Eats Foundation. Chefs Keith Kalmanowicz and Avril Johnnidis prepare flavorful vegan fare for all members of their community regardless of their means to pay. If guests cannot afford their meal, they are welcome to volunteer their time in exchange. In addition to its healthy, creative, vegan fare, the cafe also offers educational workshops and opportunities to learn about growing, minding, harvesting, and preparing vegetables and vegan dishes. For more information on Love & Vegetables, visit www.loveandveggies.com. Follow Love & Vegetables at Facebook.com/LoveAndVegetables. 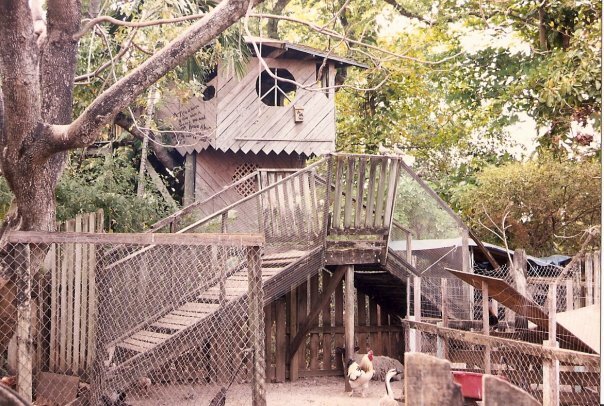 Founded in 1977 by Ray Chasser, Earth N’ Us is a permaculture farm that is home to many different animals, including emus, goats, pigs, and turkeys; residents, some of whom live in the three-story tree house, a focal point of the farm; and a wide variety of organic produce. Located in Little Haiti (7630 NE 1st Avenue), Earth N’ Us Farm is open to visitors everyday until 6 p.m., no reservation necessary. For more information on Earth N’ Us Farm, visit www.earthnusfarm.weebly.com. My Ceviche is a fast-casual concept that brings wild-caught seafood, when available, to the table in the form of fresh burritos and bowls, tacos, salads, and of course, ceviche. My Ceviche South Beach is located at 235 Washington Avenue and can be contacted at (305) 397-8710; My Ceviche Brickell is located at 1250 South Miami Avenue and can be contacted at (305) 960-7825. Hours of operations at both operations are Sunday-Thursday from 11:30 a.m. to 10 p.m. and Friday-Saturday from 11:30 a.m. to 11 p.m. My Ceviche offers eat in (Brickell location), take out, delivery, and catering services. For more information, visit www.MyCeviche.com. Follow My Ceviche on Twitter and Instagram: @MyCeviche; Facebook.com/MyCeviche.